The choir is always performing! Check our diary for a full list of forthcoming events. Following the tragic death of our brilliant and much loved accompanist David Coram, we are now faced with finding his replacement. If you are interested in playing for us please follow the link below to find out what skills we are looking for and how to apply. The choir sings for the sheer love of it, but also challenges itself to develop up to and beyond its potential. The choir is non auditioned, some members read music and some do not. 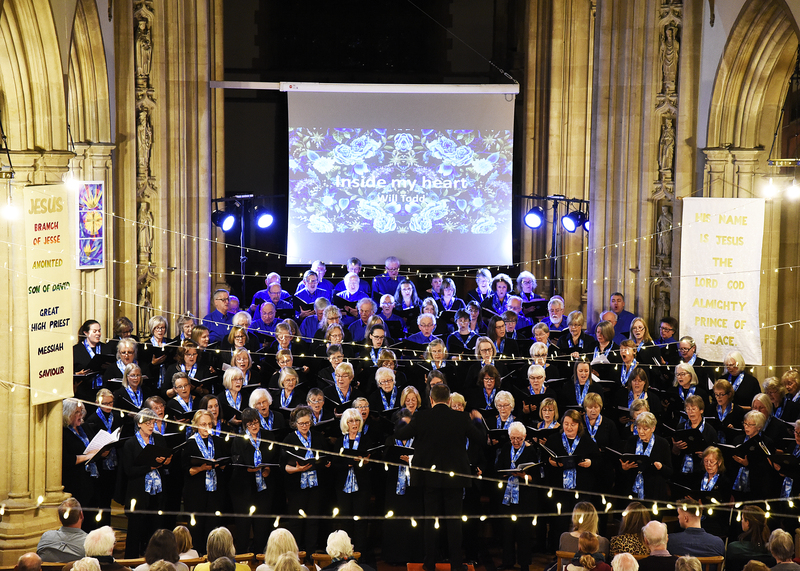 The mixture works and with patient encouragement from Jeremy, our fantastic Musical Director, the choir achieves amazing performance successes, whilst having a lot of fun along the way! We are ambitious and adventurous musically, commissioning new works and organising and performing in both small and large scale concerts all over the UK. We regularly tour abroad, mainly to Europe, but have adventured further afield. The SCC has a big heart and we have a real community focus, supporting each other and fundraising for a diverse range of charities, from Hospices to Homelessness. If you love to sing, have a spirit of adventure and would like to be part of our community why not come and try us out! The SCC thrives on the variety of the music it sings, from choral classics to classic pop! 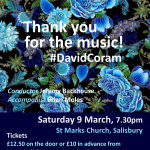 Folk based songs and arrangements from Percy Grainger, Philip Lawson and Jonathan Rathbone, Will Todd and many more. An extensive variety of carols and Christmas music. 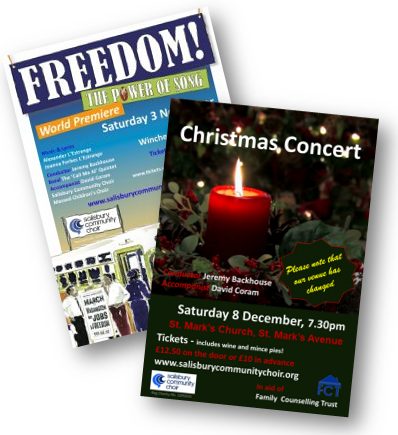 Charity support, benefit concerts, fundraising, community events, singing at the Hospice….anything we can do to help. 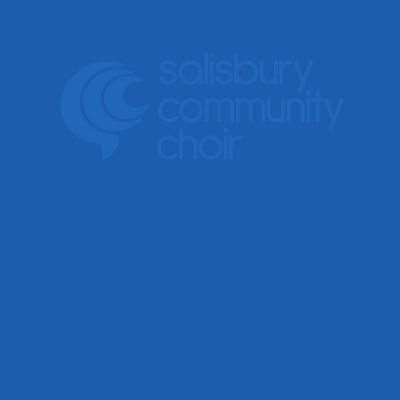 SCC is embedded at the heart of its local community raising money for a variety of different charities locally, nationally and internationally for example Salisbury Hospice, Salisbury Young Carers, Fordingbridge Church Fund, Salisbury Trust for the Homeless and the Rainbow Trust. Following an SCC tour to South Africa, the choir also became involved in raising money to sponsor disadvantaged African pupils to go to university through the Fezeka Scholarship Fund.